Why Is Square Enix Raising Cash? Square Enix, the company behind Final Fantasy and Dragon Quest, announced a ¥35 billion ($386 million) zero-coupon convertible bond. As Hiroshi Kamide at KBC Securities Japan points out, "convertible" means that these bonds can be changed to shares at some point before they mature. While Square Enix has around ¥80 billion in on hand cash, the company has decided to raise another ¥35 billion. There could be several reasons for this. 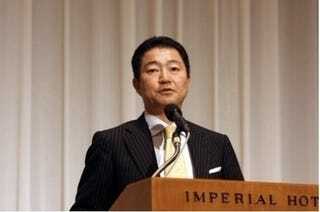 The company has a debt of ¥50 billion that needs to be repaid in November 2010. "So this new ¥35 billion bond is helping them repay it — swapping an old debt with a new one," says Kamide. It could also mean that Square Enix is out shopping for another company to acquire and needed to extent its credit limit. "The cost of borrowing monies is so low in the world at the moment," says Kamide, "that Square Enix is being opportunistic in raising funds on the cheap today, just in case it feels like shopping for something." If this is in fact true, then what could Square Enix be shopping for? Probably not new shoes! Last year, Square Enix purchased Eidos and integrated the company, best known for the Tomb Raider games, into Square Enix Europe after unsuccessfully vying for Japanese developer Tecmo. Tecmo ultimately merged with Dynasty Warriors developer Koei.